Video is a remarkably engaging medium. It enables you to share your stories visually and dynamically, and when you couple such a creative outlet with social platforms, you create opportunities to reach dramatically more potential customers than when using other media. 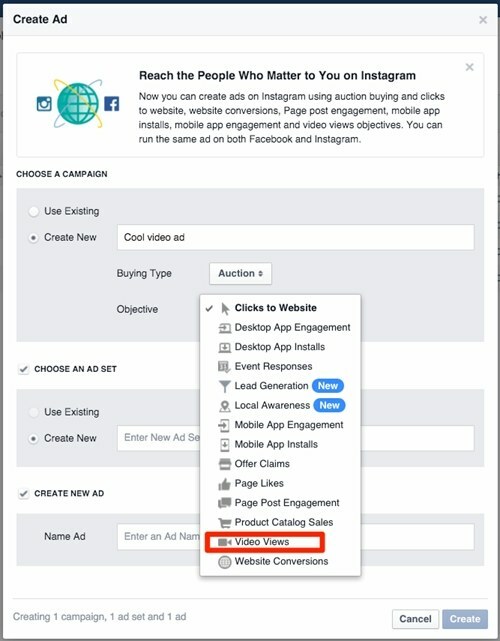 Why Video Advertising on Facebook? It isn’t difficult to understand why Facebook has been placing so much emphasis on video as a preferred medium. Considering its 1.04 billion daily active users logging into Facebook and over 76% of those users discovering video content through their News Feeds, businesses that wanting to succeed in a digital age need to learn and keep up with the platform’s video advertising options. Since Facebook seems to prefer video shared natively (uploaded directly onto the platform) rather than video (on YouTube, for example) that’s merely linked to, so you should try to share videos natively on Facebook. Videos that are shared natively on Facebook appear in users’ News Feeds and blend seamlessly with other native updates. They begin playing immediately that they appear on the user’s screen, although muted, and users can expand videos to watch them in full screen. Videos shorter than 21 seconds had the highest completion rate, a Socialakers study found, so you need to be concise with your message. 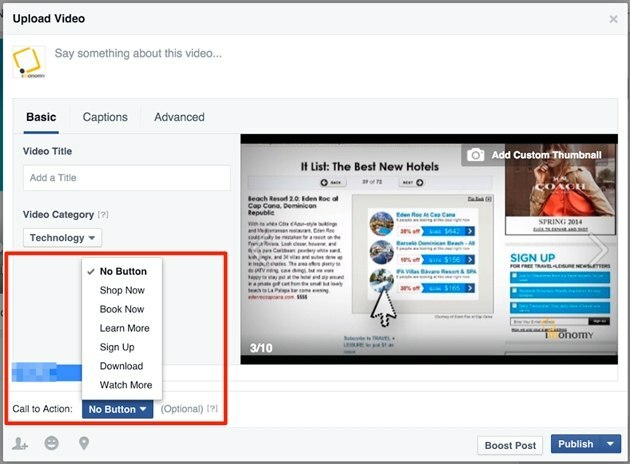 Last year Facebook updated its Video API to give video creators the ability to restrict audience demographics, set an expiration date, and add custom thumbnails for their videos as part of a more detailed control and customization feature to help you reach your audience. Uploading your video is the easy part. You’ll need to monitor your video’s effectiveness. Here are some tips to help you access vital insights into its performance. If you have used video content on Facebook in the past, you will likely see much higher engagement for video posts that for other post types. That video went viral, receiving 1.3 million views, some 3,800 likes, and over 220 comments. And it was done with a modest budget, too. It also reinforced the importance of a marketing campaign that consumers can resonate with emotionally. VentureBeat Insights has found that video advertising stimulates engagement that can be up to seven times more effective than traditional banner ads. This suggests that though you may need to put in extra effort to build an effective video marketing strategy, your return on investment will likely be higher. In the past it was difficult for Facebook Page owners to really analyze the impact of their videos. 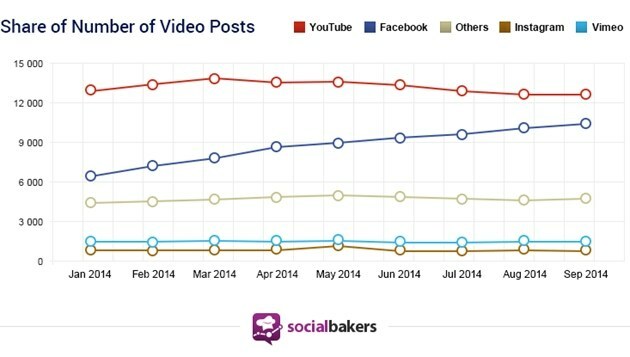 That changed in June 2015 when Facebook introduced a videos tab that helps you have a deeper understanding of the metrics of each video posted. The new tab gives you access to fairly detailed metrics relating to your video. Pro tip: When you upload a video, remember to add a custom thumbnail to get your viewer’s attention. You’ve created an engaging video and shared it. Now make it work for you with a call to action to complete your conversion funnel. Make sure your video call-to-action button links to a relevant landing page. Also, remember that once you set your call-to-action URL, you cannot edit it. This page explains how to create them. 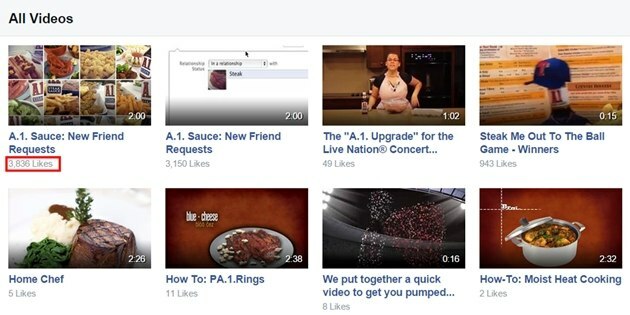 Some of the best Facebook video campaigns come from interesting collaborations. TakeiHeartRadioNZ as an example. It partnered with a famous pancake maker and produced a video, “How to cook pancakes like a BOSS!” (since deleted from Facebook, but available (for now) elsewhere) and achieved over 68 million views, over 285,000 likes, and almost 1 million shares. You can tag people or pages in your video directly, or mention them in the video description. To tag a video directly (like an image) you should expand the link and click Tag Video. Choose the person or page you want to tag, and click Done Editing. Right, you’ve created and published your video. Now you need to promote it. 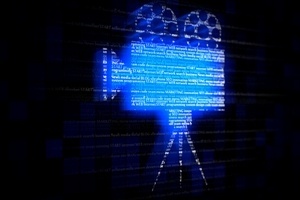 One option is to give your video a promotional boost. 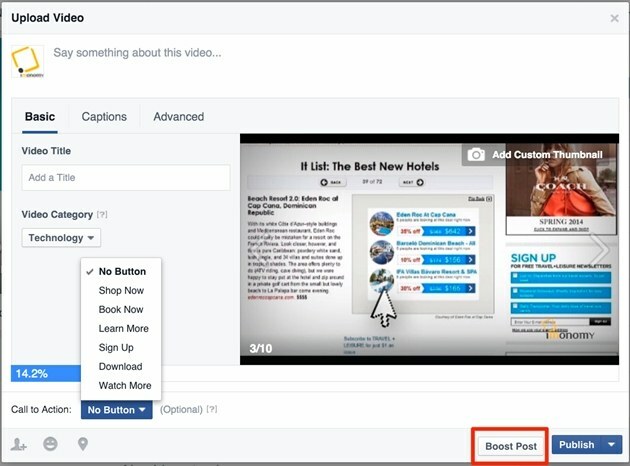 The easiest way to do that, once you’ve published your video, is to click the “Boost” button on the video post. Doing so to amplify your content straightaway is a simpler alternative to using the full-featured Ad Manager or Power Editor, though you do sacrifice targeting and bidding options when you use Boost; however, you are still able to make changes to your campaign later. If you are working in your Ad Manager or Power Editor, choose “Video Views” as your objective. Though creating a custom audience is not compulsory, it will help you create one later on, which will strengthen your future campaigns. This is another opportunity to select the best video thumbnail for your video before you start the campaign. 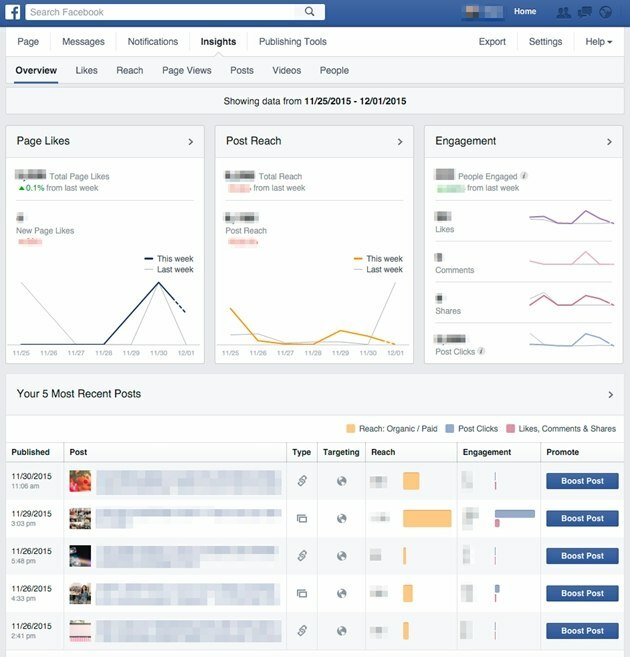 You can track your video’s performance in Facebook Insights once you have started a paid campaign. You can also generate reports and filter out specific metrics that are important to you. We’ve noticed pretty good conversion rates from fairly modest paid campaigns. Looking at more than 670,000 posts by 4,445 brand pages (not including celebrity, entertainment or media pages) between October 2014 and February 2015, Socialbakers found that video posts had organic reach of 8.71%, meaning an average of nearly nine fans out of 100 see such posts. The reach was only 3.73% for photo posts, well below the results for text-only statuses (5.77%) and link posts (5.29%). 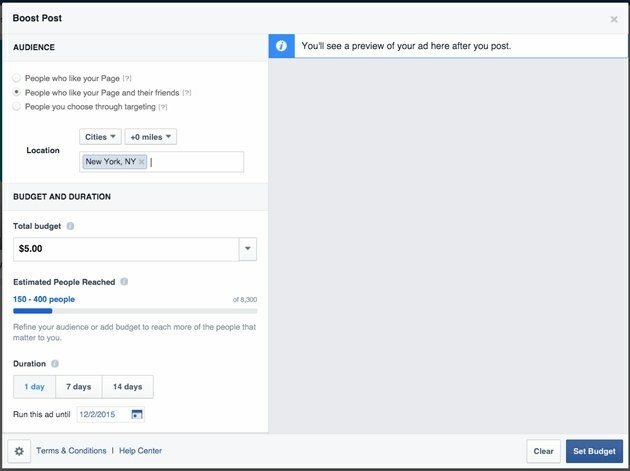 What do you think about video advertising on Facebook? What would you like to see more of from the social media giant? Please share your thoughts and opinions in the comment section, below.